My favorite birthday card I have created would hands down be these penguins. 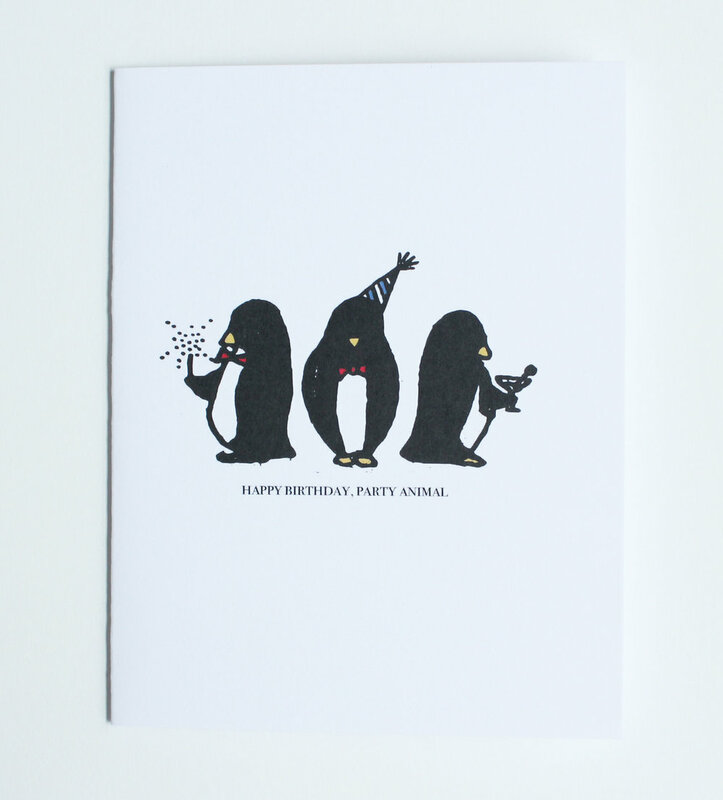 Adorned in their finest party attire, these penguins were originally sketched out for a New Years card. Yes, these dapper gentlemen were meant for the New Year, but I loved them so much I knew they need to send more cheer all year long. I'm so glad these guys turned into my most beloved card. This weekend is my last craft show of 2015 and I wouldn't want the year to end any other way than with Renegade Craft Fair in Chicago! Join me this Saturday and Sunday at the Bridgeport Art Center from 11am -6pm to get some great holiday goodies and gifts checked off your list! I'm booth #7 on the first floor so make sure to stop by and say hi! Also check out my friend Jessica's booth, J. Renee Illustration, on the 5th floor. Can't wait to see you all there! About a month or so ago a friend showed me the 100 Day Challenge and asked a bunch of us if we would like to be involved. I was so hesitant at first, I mean what could I do for a hundred days that wouldn't seem daunting or at the same time underwhelming? As a creative type I knew that I wanted to do something with art, but more specifically with something off of the computer. After debating (with myself of course) for a while between drawing and some type of lettering and I remembered a doodle series I developed back a few years ago. Meet Myrtle. Born out of a whimsical and slightly skewed sense of humor, Myrtle will be going on adventures for the next 100 days. If you would like to follow along with me you can find the drawings here #myrtlesadventures - I know I can't wait to see where she'll be going next! It has already been a little challenging to make sure the picture goes up each day and we are only three days in! I love the time I have put into sketching out thoughts and then completing the frame. Though it seems like another thing on my list of "to do's", it's been relaxing to get back to a sketchbook and drawing for my own pleasure. Wow, Valentine's Day has snuck up on me once again! Luckily there is still time to get the cards into the mail and plan a little something for Saturday. Since my husband and I started dating, Valentines Day has always been a low key affair. Last year we went to a great little pub near by, ate delicious cheese, had some wine, and played games from the bars collection - our favorites including Blockus, and a few rounds of Gin Rummy. One day a year is not enough to tell those you care for most how you feel, especially with such a happy thing as getting a handwritten note in the mail. I created two downloadable cards that you can print out yourself and spread the love to those around you. Choose one or both; send one or keep sending them all year long! 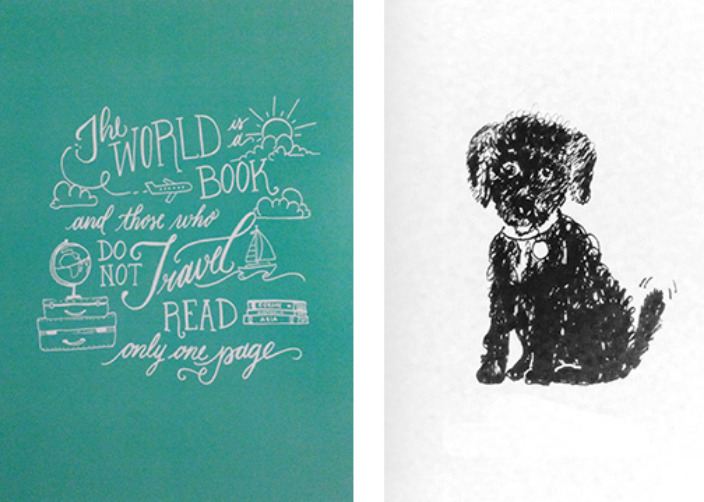 Each fits onto a 8.5" x 11" sheet of paper and when cut out & folded will fit a standard A6 card envelope. Also, it's blank inside - easy for you to write down all the reasons you love that special someone, or just sign your name. Download them here, Linalulu Paperie Valentines Day Downloadable, and happy card writing! Last week I saw my late summer tan lines fade from my feet. The earth crescendoed with warmth for us here in Chicago-land (a sweet day of almost 72 degrees) allowing us to bid farewell to the mild fall. The leaves brilliant in their colors and it almost seemed that the trees were showing off - trying to show one another up with who could have the most brilliant blaze. Captivating red to orange or sweet fade of green into yellow. As the warmth faded, it seemed not to go out with a fizzle but with a bang. We ushered October out, and our Indian summer, on Halloween with sleet and snow. The leaves are almost gone, November has come, and the clocks are set back an hour to let the darkness nestle in quicker. It seems that Fall is finally here – and so we’ll bust out our coats and heavy scarfs, wrap ourselves up in our favorite blankets and nestle into our homes on those blistery days. It's the weather for thick sweaters, comforting flavors, and copious amounts of pie. Let's begin to cherish the sweetness of the seasons changing. Let’s fall back into fall. Slip-on Shoes: Getting through security can be a breeze if you set yourself up for it. Waiting on a cold tile floor as I push my belongings through the x-ray can be, well, gross. I wear simple flats so just right before my turn to walk through I can slip them off to toss in the bin and easily slip them back on once through. Lite Reading: I usually bring a short book and a magazine with me. Having either to switch back and forth is great when you're not sure how long your wait is or to pass time on the plane. For even lighter reading, download Audible or OverDrive app and listen to your book. Sketchbook & Pens : The airport is incredible people watching, and usually has great art pieces decorating the terminals. I have a sketchbook with me to capture all the funny moments and when inspiration strikes. Chap stick: ...and a lot of it. The plane is dry and you can never have enough chap stick. Jacket or Sweater: Jackets are nice in case of a cold airport or airplane. Plus they can double as a good blanket or pillow if need be. Snacks: The airport food court always seems tempting to just grab food, but with higher prices and strategically placed Starbucks kiosks, I opt to bring food like granola bars or fruit snacks to tide me over. Plus it helps with the travel fatigue and meltdowns. Water bottle: Just like carrying chap stick, having a water bottle is always smart to keep you hydrated and ready for anything that comes your way. Carry-On Bag: One of the most important things to make sure you have, man or woman, is a sturdy, versatile carry-on bag. A bag with reachable pockets for your phone and wallet, a zipper closure to make sure nothing falls out when you slip it under your seat, and both short and long shoulder straps that can carry heavier items like a laptop with out strain or snapping. Ear buds, Phone Charger, Cash, and Comb & Toothbrush - You never know when you will need to freshen up.